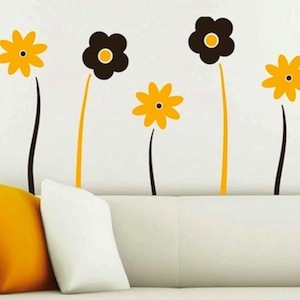 Peel and stick to your liking with the Jolly Flowers Wall Decals! Each pack comes with 4 flowers and 4 stems. Just peel and stick! 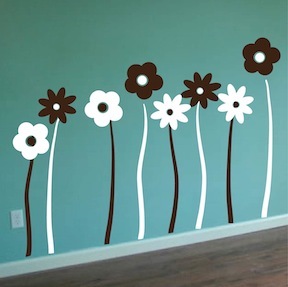 To get multiple color arrangements, place multiple orders of the same Jolly Flowers Wall Decals design pack in the colors of your choice and really mix it up! 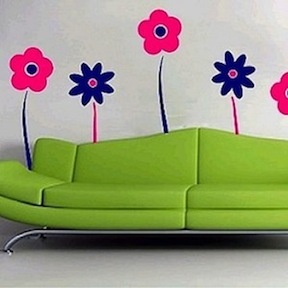 Made with 100% interior safe, removable vinyl that appears painted right on the walls. 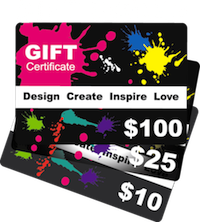 Perfect for permanent or temporary decorating.